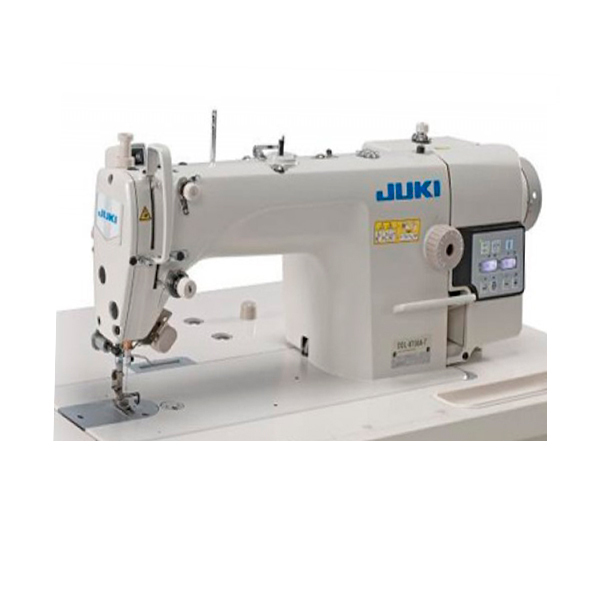 Now, JUKI has launched an advanced 1-needle lockstitch machine with unrivalled performance, a successor to the DDL-8100B-7. 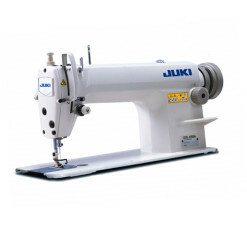 This is the newest flagship lockstitch machine from JUKI, a manufacturer which aims for genuine quality every minute of the day. The energy-saving and highly efficient servomotor is installed in the direct-drive style to transmit power without loss to the sewing machine, thereby providing improved responsiveness, quicker start-up and increased needle penetration force. 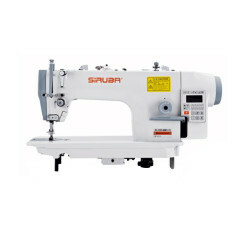 The compact-sized control box and operation panel. 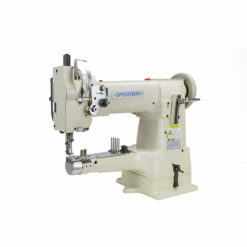 Both the compact-sized control box and the operation panel are integrated with the machine head. 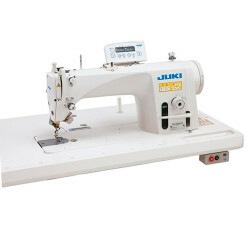 The machine is provided as standard with the operation panel. 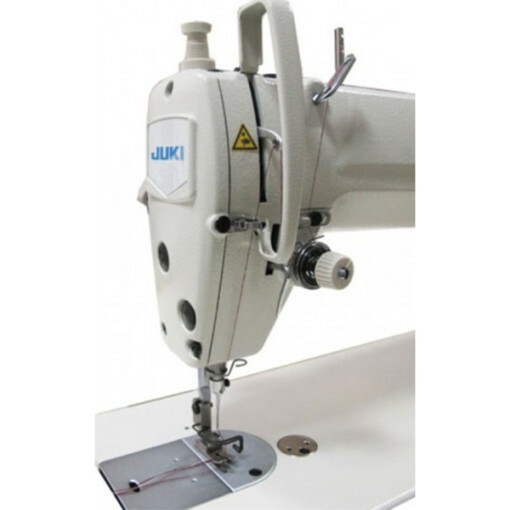 The thread take-up lever which provides a wider sewing range is adopted. 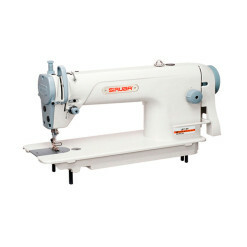 The use of the newly-developed thread take-up lever increases the needle bar stroke (35mm). 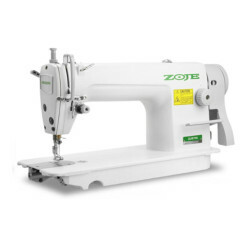 With this feature, the sewing machine is able to sew many different types of materials ranging from light-weight ones to medium-weight denim. 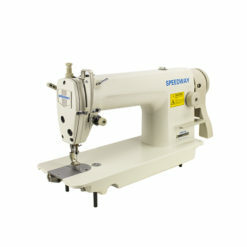 The new tension spring is adopted. 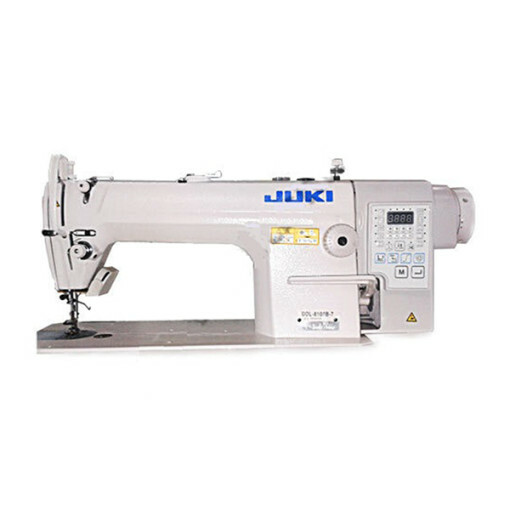 The new tension spring is adopted to support the sewing of materials which differ in thickness ranging from light-weight materials to medium weight ones. 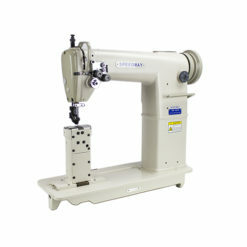 Feed-cam timing adjusting hole: The adjusting hole is provided on the top of the arm. 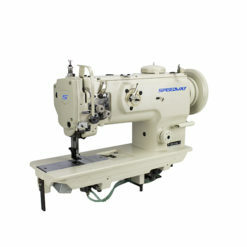 This hole facilitates adjustment of the feed-cam timing. 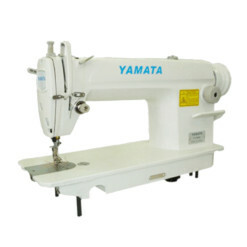 Direct-drive type: Since the sewing machine has no V-belt, the operator needs neither to clean up shavings from the V-belt, nor adjust the V-belt tension. The newly-developed hook is adopted. This hook can handle even a higher-count thread with consistency.